On 8 May, US President Donald Trump announced his decision to exit the Iran nuclear deal, hampering ongoing efforts to establish scientific collaborations between researchers in the two countries. Scientists say that the move will make a bad situation worse. Under the 2015 Joint Comprehensive Plan of Action (JCPOA), Iran agreed to scale back its nuclear programme and allow international inspections of its facilities in exchange for the removal of economic sanctions imposed by the United States, the European Union, Britain, Russia and China. At the time, many researchers saw the agreement as an opportunity to bolster Iranian science and to expand international collaborations. But those plans have encountered roadblocks since the 2015 deal. For example, when Trump took office last year, long-standing efforts to establish scientific exchanges between Iran and the United States came to a halt. And workshops organized by the US National Academies of Sciences, Engineering, and Medicine (NASEM) between 2010 and 2017 — meant to bolster collaborations in diverse fields including solar energy and water resource management — stopped after the Trump administration raised questions about Iran and the nuclear deal, says Glenn Schweitzer, who spearheaded the NASEM work in Washington DC. Iranian scientists have expanded collaborations with their European counterparts in areas such as nuclear safety and security, but similar work has failed to take root in the United States. That is in part because some US sanctions remained in place in spite of the nuclear agreement, and because US researchers often need a licence from the US Department of the Treasury to collaborate with government scientists in Iran, says Matthew Bunn, who studies nuclear non-proliferation issues at Harvard University in Cambridge, Massachusetts. Other research collaborations that could be in jeopardy include work at Fordow, an underground nuclear facility near Qom in northern Iran. As part of the JCPOA, Iran agreed to halt uranium enrichment at the facility. The country planned to pursue particle-physics research there, as well as to use the facility to produce medical isotopes. 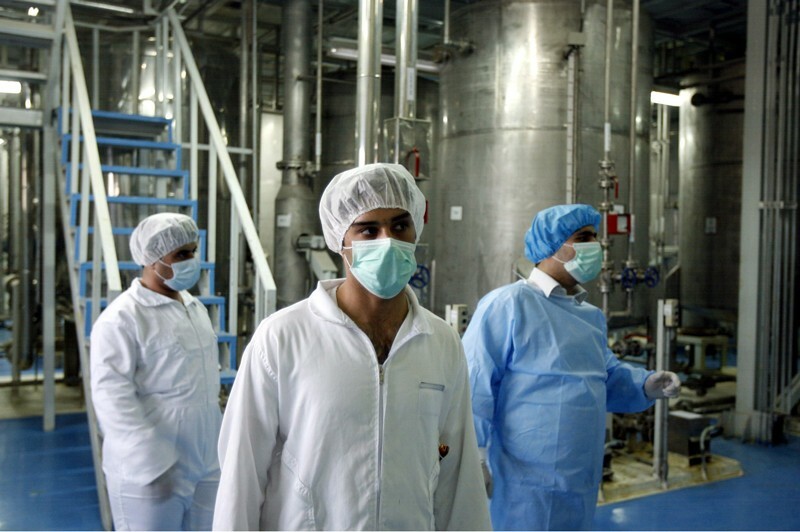 Russian scientists had been working with Iran on experiments to advance Iran's medical isotope production, says Scott Kemp, who heads the Laboratory for Nuclear Security and Policy at the Massachusetts Institute of Technology in Cambridge. “I think that work gets mothballed, at least at the outset,” Kemp says. And if the agreement collapses entirely and Iran walks away, he says that the country would scrap the effort altogether “and go back to making enriched uranium”. Additional reporting by Davide Castelvecchi. Correction 09 May 2018: This story originally used an old acronym for the US National Academies of Sciences, Engineering, and Medicine. It has been changed to reflect the correct acronym.